Move over Fro-Yo… Cupcake… The newest sweet tooth craze to hit the food-blogging world (at least the ones I read) is the Macaron. I was so confused reading about all these bloggers traveling across the city to find the best Macaron… because they could just go to any Passover Sedar and find a whole can of them! What is the big deal? Well, soon enough I found out that there is a new macaroon in town and it’s here to stay. It’s funny, because the French Macaroon has been around for a very long time. French Macarons are very light sandwich cookies with crème in the middle and have been around since 1792! 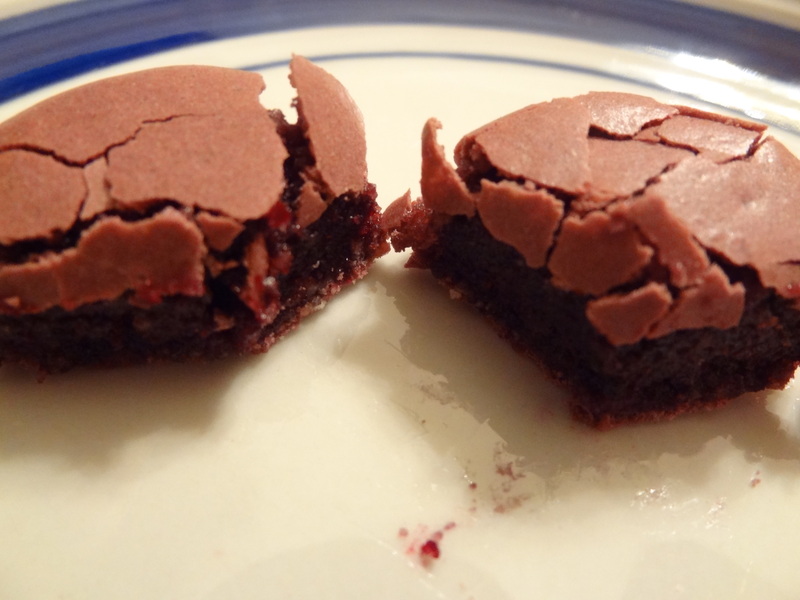 Back then though, a Macaron had no filling… it was all cookie. The first bakery to make our modern French Macarons was Café Ladurée in Paris. This is just amazing to me because this is the same store we visited in NYC to test these babies out! 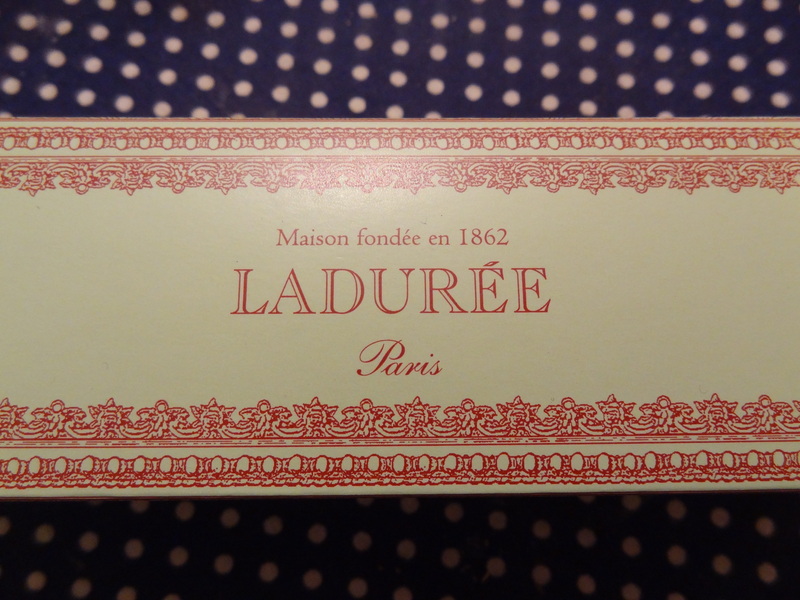 Lucky for me, I only had to go to 864 Madison Ave in New York Cityto visit Ladurée and test out their Macarons. The line was at least a half-hour deep but it was so worth it! After our wait, it was our turn to order! (from left to right) Coffee, Coconut, Raspberry, Blackcurrant-Violet, Vanilla, Chocolate, Salted Caramel, and Pistachio. I somehow was able to make myself wait until we got home to try them. They are so unbelievable. It’s unlike anything I’ve ever tried before. The flavors are so strong and unique. 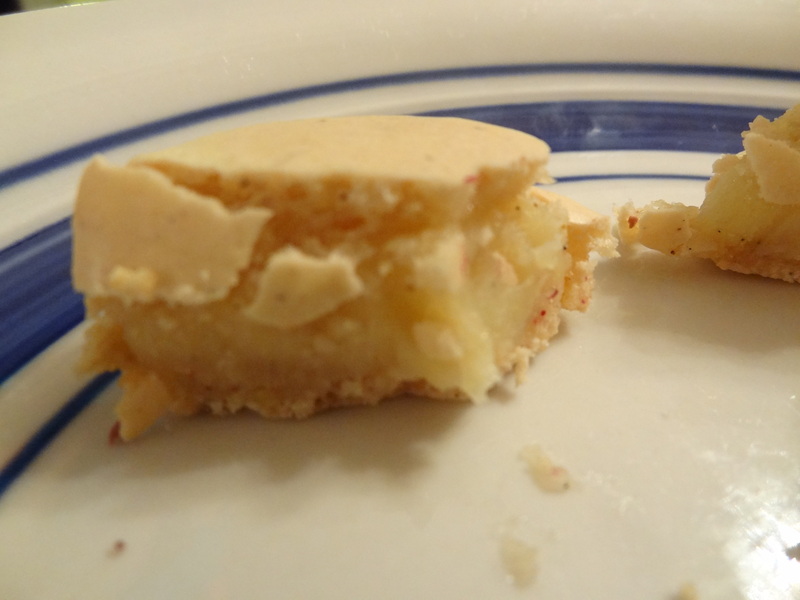 Even one bite of the vanilla macaron was a burst of flavor, you wouldn’t be able to call this “vanilla” at all… it was so spectacular. The cookies are soft but flaky and the center is gooey which melts right into the cookie when you bite it. MMM! I couldn’t pick a favorite flavor, but I’d have to say it is a 3-way tie between the Salted Carmel, the Blackcurrant-Violet, and the Vanilla! 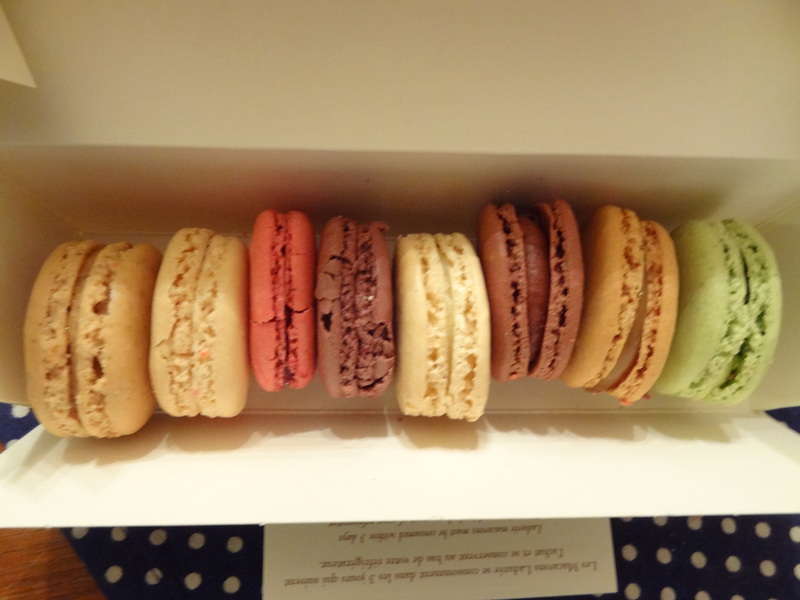 I can’t stop talking about Macarons, telling everyone to go try them… and even more so, I cannot wait to go buy some more next time I’m in NYC! 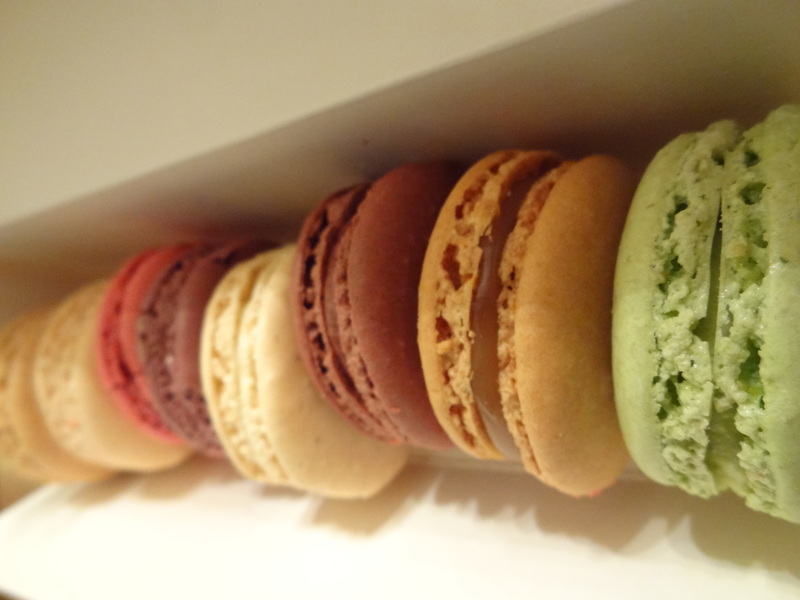 I have been obsessed with these macaroons ever since I first saw them! I have been seeing them all over NYC and was always confused about how these were macaroons, haha! I still think of them as the Passover kind too. I finally got to try one of these a few months ago in Lincoln Center and I was not disappointed. I had a chocolate one and it was incredible. After reading this, I am really wanting to get some more and try some other flavors. This kind of macaroon is so much better than those coconut things we call macaroons, haha! They are heavenly. Vanilla is the best. I can’t wait to go back to buy more… seriously. I’ve been trying to find a place in State College that makes them. I should remember to look when I am traveling some time. Macarons are on my to bake list this year. I first tasted it in Rouen, France and fell in love with it.